then you probably have insomnia. Researchers have found a mutation in a gene called DEC2 that causes people with the mutation to need only short amounts, such as 4 hours, of sleep each night. These people awake refreshed and energetic. (How lucky they are, in my opinion!) The gene mutation is relatively rare, however, and most people who say they only get 4-5 hours of sleep do not have the mutation but instead have insomnia. 7-8 hours for an older adult, 65+ years of age, with 5-9 being appropriate. 7-9 hours for adults 18-64 years of age, with 6-10 or 11 being appropriate. 8-10 hours for teens 14-17 years of age, with 7-11 being appropriate. 9-11 hours for school-age kids 6-13 years of age, with 7-12 being appropriate. 10-13 hours for pre-school kids 3-5 years of age, with 8-14 being appropriate. 11-14 hours for toddlers 1-2 years of age, with 9-16 being appropriate. 12-15 for infants 4-11 months of age, with 10-18 being appropriate. And of course we know that newborns sleep most of the time, with 11-19 hours being appropriate but 14-17 being recommended. The CDC states that more than one third of US adults report sleeping less than 7 hours per night. An international survey of sleeping problems in the general population reported in a 2008 journal showed that insomnia was over 50% in the US, 31% in Western Europe and 23% in Japan. Almost half of the individuals with sleep problems never took any steps to resolve the problems. Why is that? Maybe they do not subscribe to my newsletter? (just kidding! But really!) Most likely, they do not realize the importance of sleep to make it an absolute priority in their lives. Of those people who consulted a doctor about their sleep problems, approximately 50% were given prescriptions in the US and Western Europe and a whopping 90% were given prescriptions in Japan! 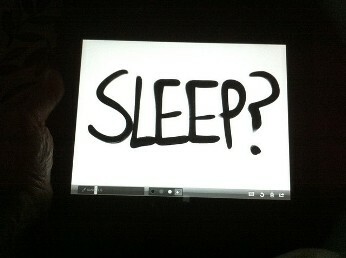 Do You Ever Wonder Why We Need Sleep? No one is really sure why we need to sleep, but brain housekeeping functions are the suspected reasons. Therefore, sleep is necessary and is not just an inconvenience. One theory of why we need sleep involves waste removal. Because the brain lacks a conventional lymph system to move wastes out of it, the cerebrospinal (CBS) fluid recirculation that occurs is the only method to remove most wastes. Research shows that in mice, sleep is necessary to shrink the brain enough to allow removal of wastes such as beta-amyloid plaques from the brain by the CBS fluid. As the channels between cells expand, the CBS fluid flows into the channels and gathers the wastes. When the cells re-expand, the wastes are flushed out with the CBS fluid. That is one of probably several necessary functions of sleep. You cannot catch up on sleep on the weekend, either. This maintenance must be done daily or damage to the brain can occur. This is similar to how your kitchen would stink and attract bugs and varmints if you only took out some of the trash sometimes. What Happens If You Don't Get Enough Sleep? Besides the obvious feeling of being tired or sleepy and struggling to make it through the day without stimulants like caffeine, not getting enough sleep from insomnia severely impacts your brain. It impairs learning, hinders performance on cognitive tests, prolongs reaction time, is a common cause of seizures and can lead to weight gain. Lack of adequate sleep is also associated with a wide range of diseases including obesity, diabetes, cancer, cardiovascular disease and lowered immunity. Some researchers believe that chronic insomnia can even lead to dementia and death! As you might expect, since this site is about gut health and probiotics, disruptions in sleep also affect your gut microbiota. More details about that are in my book, Probiotics: How to Use Them to Your Advantage. As you can see, saying "I can't sleep" really is not an option if you want a healthy brain, body and microbiota. What about Sleep Drugs for Insomnia? All sleep drugs, prescription or over-the-counter (OTC), work on the brain to promote drowsiness. They are meant to be used occasionally or for no longer than 2 weeks. They can all cause psychological dependence and some even cause physical addiction. To find out about how sleep drugs work and the risks and side effects associated with them, see this page. Return to page on benefits of probiotics.